Laika animation studio has been crushing the stop-motion game since their 2009 Academy Award-nominated Coraline. 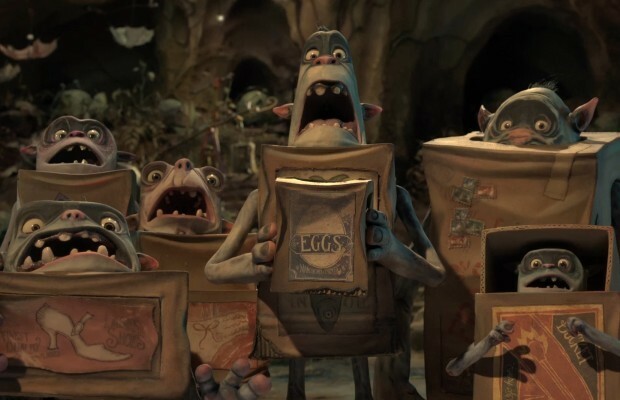 They followed up with the equally impressive Paranorman, and now their latest work of wonder, The Boxtrolls,finds the studio delivering its most subversive and wildly imaginative work to date. Not only is Boxtrolls hilarious and remarkably animated, it also tackles some heavy issues like impressions of genocide and the trappings of the class system. Surprisingly grim in tone and featuring a lively cast of voice-actors, The Boxtrolls is one to delight macabre children and adults alike. CLICK HERE TO READ TH REST OF MY THE BOXTROLLS REVIEW OVER AT THE ORLANDO WEEKLY!